Dishonored is set in Dunwall, an industrial whaling city where strange technology and otherworldly mysticism coexist in the shadows. You are the once-trusted bodyguard of the beloved Empress. Framed for her murder, you become an infamous assassin, known only by the disturbing mask that has become your calling card. In a time of uncertainty, when the city is being besieged by plague and ruled by an oppressive government armed with neo-industrial technologies, dark forces conspire to bestow upon you abilities beyond those of any common man – but at what cost? You can choose to play as a stealth master, a murdering hooligan, or a magic assassin. Or, you can mix it all together until you find your perfect blend. However you play, you'll be rewarded with an interesting story, solid gameplay, a clever art style, great characters, and more options than a Sunday buffet. 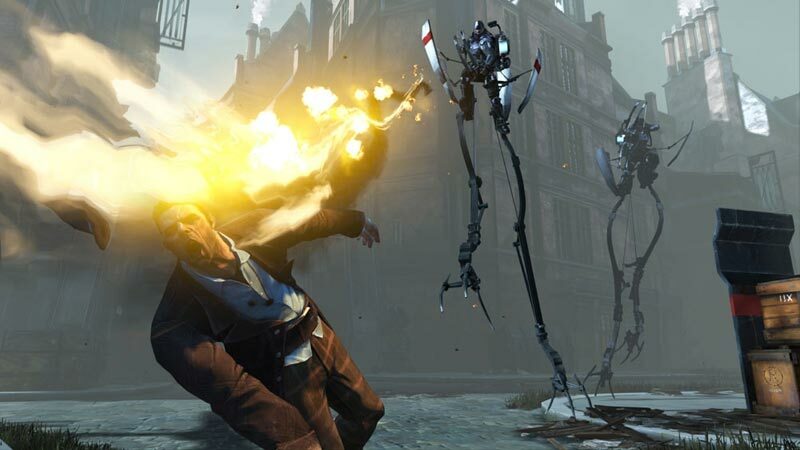 Dishonored may be a new IP, but it's here to stay and a welcome addition as one of our absolute favorites of the year. 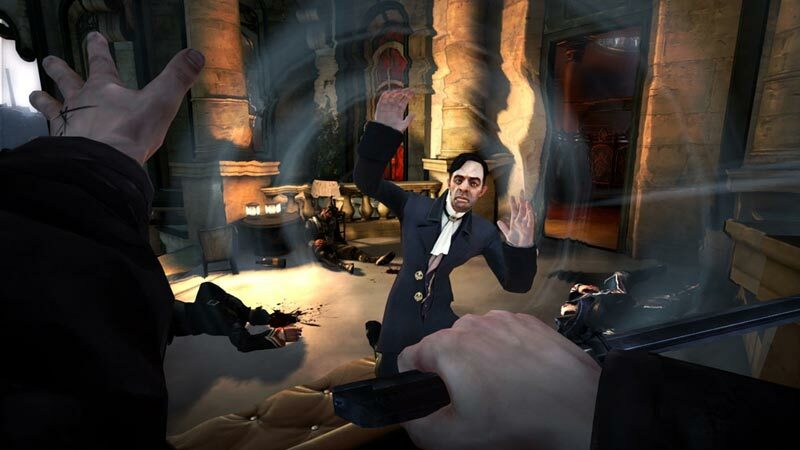 Dishonored probably could have done a little more with its narrative – but that shouldn’t detract from its otherwise incredible achievements. The ability to elect different play styles is not merely a bullet-point here; it’s the purpose of the entire game. And while you might not fall in love with the title immediately, allow Dunwall’s rat-infested suburbs to crawl beneath your skin, and you’ll eventually succumb to its charms like a plague. 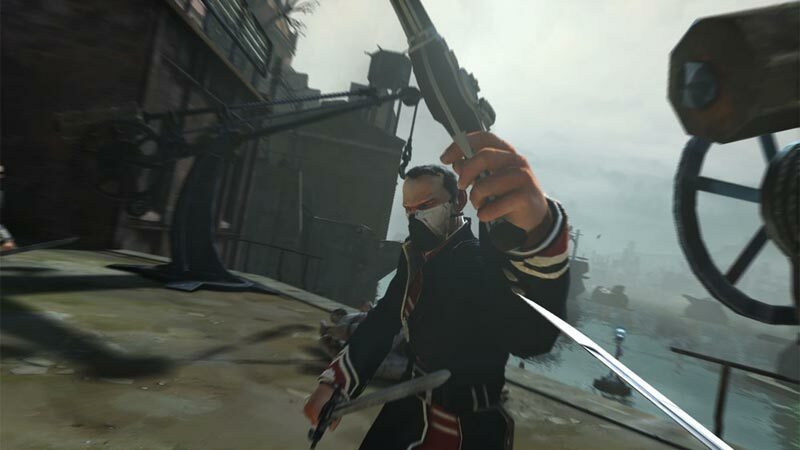 Dishonored may not do anything we’ve never before seen, but everything it does, it does extremely well. The massive amount of choice given to players keeps the game interesting through multiple replays, proving that multiplayer isn’t necessary to be a hit. 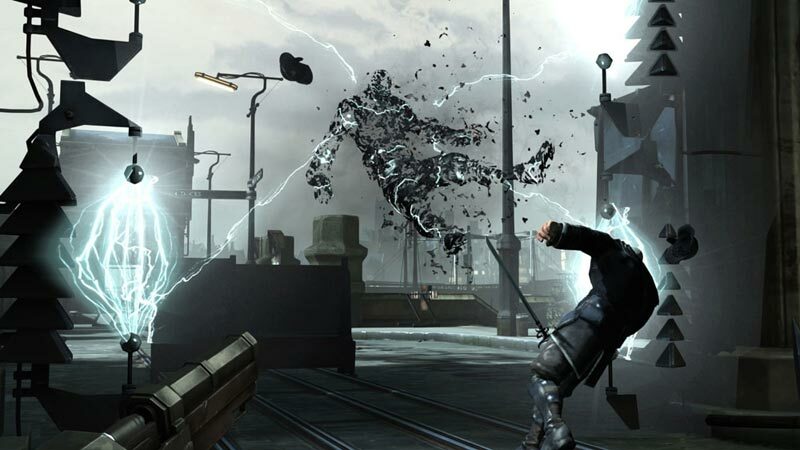 In a year, and an industry, stricken with a plague known as “sequelitis”, Dishonored is the perfect cure, and should etch its name into every Game of the Year discussion with a sharply-tipped assassin blade. The team at Arkane Studios has injected an array of cool possibilities into the simulated city of Dunwall, and discovering them all is a blast. When you come face-to-face with the people who wronged you, your only dilemma is deciding which poetic method of elimination will produce coolest result. 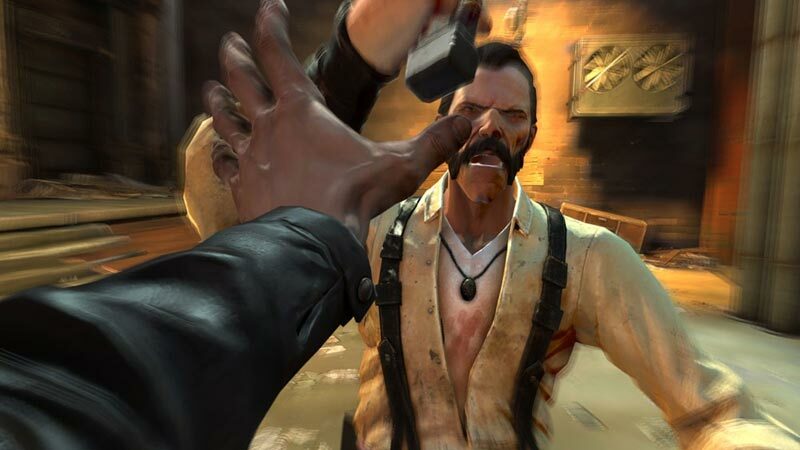 Dishonored is a complex game, although there are only nine distinct missions, there’s a lot involved in each one of them. The ability to return to any mission you’ve already completed and play through it in numerous ways not only provides plenty of longevity, it also encourages you to experiment and learn the intricacies of the game. This is not a first person shooter and it’s not a stealth game: it’s both and neither all at once. When reading that Dishonored has nine stages to work through it may sound ridiculously short, but there is so much depth to each area and there are so many side-missions, alternative routes, and general extras to uncover, that it lasts far longer than expected. It also proves to be a refreshing break from the standard FPS fare, proving to almost be like Metroid Prime in its adventure elements, fleshing the story out with hidden notes and extra characters that add more to the experience. 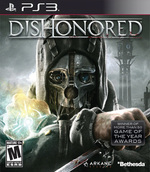 With Dishonored, Bethesda and Arkane have definitely delivered one of the most engaging games on 2012. 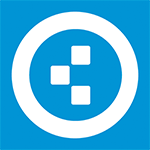 Técnicamente no es sorprendente, aunque tiene momentos espectaculares y, sobre todo, un diseño artístico y de niveles que nos tiene enamorados. La banda sonora acompaña a la perfección, y el sensacional doblaje al castellano termina de redondear la experiencia. Una vez que entras en la ciudad de Dunwall lo haces con todas las consecuencias, la inmersión en su universo es total y ya no querrás jugar a nada que no esté tan bien diseñado. Dishonored ist ein ansehnliches Abenteuer, das flotte Stealth-Action vor wunderbaren viktorianischen Kulissen inszeniert. 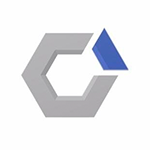 Das Artdesign gehört hinsichtlich Architektur und Mode zum Besten, was ich in den letzten Jahren gesehen habe. Hinzu kommt eine Lokalisierung, die endlich mal durchgehend mit markanten deutschen Sprechern überzeugt sowie ein offenes Spieldesign, das sowohl den martialischen als auch subtilen Weg ermöglicht - hier war im ersten Drittel noch der Award greifbar.